Discover the popular spots in town, that is close approximately from the hotel, including famous shopping center, an island, and the other destinations. Is a park city tour located in the center of Surabaya, precisely on Jalan Raya Darmo. Car Free Day is held every Saturday and Sunday morning in this place. It takes only 10 minutes from the hotel. Definitely you can enjoy your early day without pollution. Enjoy glitzy night market with many entertainments, games, sports and shopping for culinary, fashion and other accessories in one area. Surabaya Carnival Night Market is open from 09.30 am – 11 pm on weekends, while on Tuesday-Friday, it is open from 5 pm to 11 pm. It takes 11 minutes from the hotel or 3.3 km away. Don’t miss your chance to visit this sights. Go to see the first cigarette factory of Sampoerna’s Family every day from 9 am to 10 pm. 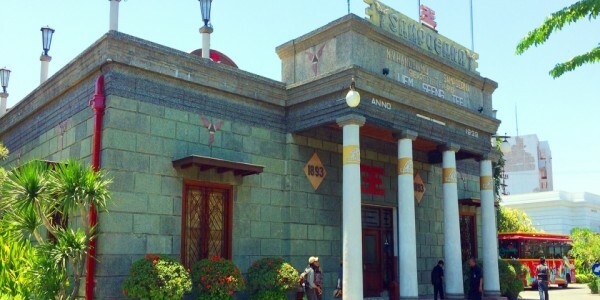 In this museum, you can see directly the manufacture of cigarettes by using traditional tools and buy many merchandise in the stand that has been provided. You will also find the Heritage Track Bus that will take you to various historical places in Surabaya. is one of the most popular zoo in Indonesia. There are more than 351 different species of animals that comprise more than 2,806 animals. It only takes 10 minutes from the hotel. 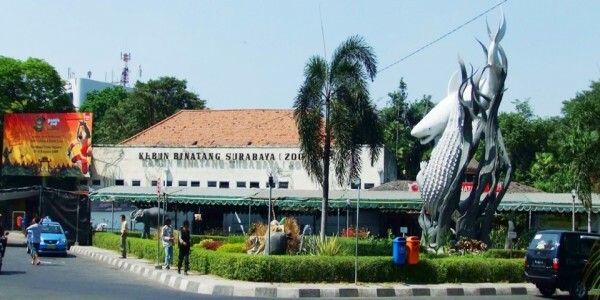 You can see your favorite animals at the Surabaya Zoo starting from 08.00 am – 5 pm.